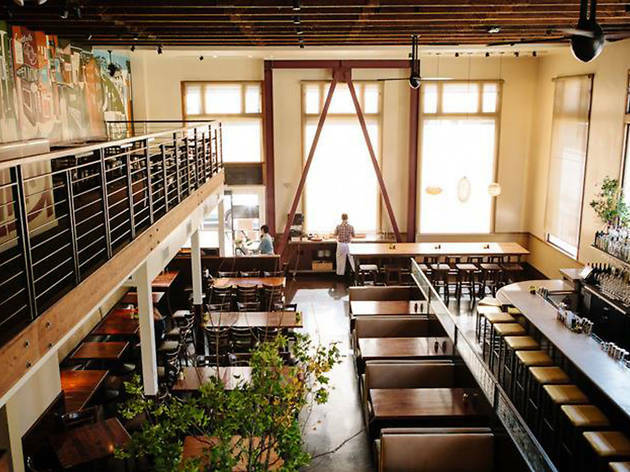 Mediterranean-inspired cuisine served in a comfortable, lofted space on Divisadero. The restaurant that redefined a neighborhood remains one of the most popular in San Francisco a decade after first opening in 2006. 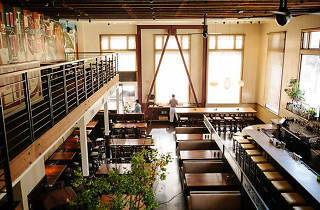 Nopa’s “urban rustic” cuisine fits well with its unfussy but chic lofted space with a large open kitchen and lively bar. Italian- and Mediterranean-inspired dishes like Moroccan vegetable tagine and grilled squab with eggplant salad, tahini, blue lake beans and feta grace the dinner menu. Popular happy hour, late night snack and brunch menus (saffron honey brioche bun! strawberry marzipan coffee cake!) are equally as worthy of a sit-down. If you come without a reservation at peak hours, be prepared to wait for seats at both the bar and restaurant.